Note: This interview was originally conducted in Chinese and Japanese, and some of the translations may be slightly off. We tried our best to retain as much of the original content from the interviews as possible while also making it easier to read. Our beloved VOCALOID singers, IA and Stardust, both performed at BILIBILI MACRO LINK – VISUAL RELEASE 2017 (hereafter “BML VR”) at the Mercedes-Benz Arena in Shanghai on July 21st of this year! The VNN Chinese team had the chance to interview both the president of 1st Place, Kumiko Murayama, and the CEO of Beijing Photek (a.k.a. Quadimension), Ddickky. We talk with them about their own respective virtual idols, and the patterns of both professional- and user-generated content. VNN has previously brought you interviews with IA and Stardust, as well as with Murayama and with Ddickky individually, all of which you can also check out before reading on with this one! VNN: How did you feel about the BML VR live concert? Murayama: I am greatly honored to have been invited to such a great concert in this wonderful arena. Last year, Lia, the voice provider of IA, was invited to perform at BML. Ever since then, I was thinking how wonderful it would be if IA could also perform like this at the Mercedes-Benz Arena. I’m so happy that it took just one year for that thought to come to realization. I also didn’t know that there are so many virtual idols in China, and am pleasantly surprised to see them all. Ddickky: I feel that tonight’s performance sadly did not live up to the expectations of Stardust fans. They came from far and wide, but only got to hear her perform one song, which wasn’t nearly enough to leave them feeling satisfied. We originally planned to perform two or three songs, but went with just “星之伊始 (The Start of the Star)” in the end due to lack of time and quality assurance. But even then, I feel that we fell far short of perfection. Considering how this would be Stardust’s first time performing on stage, we picked this song for the significance that its title and lyrics carry. However, its tempo is slow and unsuitable for a live concert. All things considered, we made quite a few regretful decisions for her first performance, but we will work harder to provide our fans a better experience when we hold the Stardust Live Concert at the end of this year. VNN: What do each of your respective virtual idols mean to you? 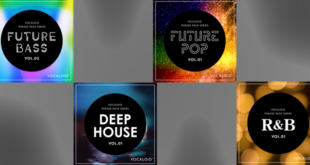 Murayama: 1st Place is a music production company with various musicians and creators associated with our label. IA is a very important member of our company, just like any other artist except that she’s virtual. I didn’t know much about VOCALOID culture at the time of IA’s creation. As a matter of course, we approached her branding and production as we would for any artist, recognizing it as a task for the management team. As a result, her debut ended up being quite different compared to other VOCALOID characters. But little by little, I learned about the emerging market and culture surrounding Niconico, which is radically different from the mainstream music scene. Through Niconico, creators can freely present their works to the world and get feedback directly from their audience, a setup that I thought was amazing. I also found it significant that many talented people were using IA as a software tool to create said works. That said, IA still exists as a virtual artist who has a soul of her own, something completely separate from her role as a mere software tool. VNN: So you mean that IA the VOCALOID software, and IA the 1st Place artist, each carry their own separate identities? Murayama: That’s right. They may have the same name, but their essence is completely different. VNN: And Ddickky, how about Stardust? Ddickky: I first discovered and took interest in VOCALOID culture when I was in high school. Then, during college, I started creating music and met many other people like myself. However, through our interactions, I came to realize that even the most talented creators can still lack proper management skills, which means that even their best songs would get low view counts. At this rate, they wouldn’t be able to make a living by writing music, and would sooner or later loose their creative skills, or stop working on music altogether, scenarios that I didn’t want to see happen. I wanted to build a platform to help these creators and provide them with a better creative environment. Thus, Quadimension was born. We gave Stardust her name because it represents the direction that our company takes. The name “Stardust” signifies every single speck of dust in a great galaxy, much like what every creator and fan in the VOCALOID world is like. Individually, we are all tiny and insignificant. But when we all gather together, we can form a gorgeous galaxy. Murayama: I completely agree with Ddickky’s development concept. This year marks the 14th year since 1st PLACE was established. In my previous company, there was a time when I served as the manager for nearly 10 different musicians. Back then, the music scene was quite different from what it is now. No matter how talented these musicians were and no matter how noteworthy their achievements, it was always the artists onstage and in the spotlight who would receive the credit. These musicians would rarely see their contributions get recognized, and were constantly getting replaced and moving from job to job, as if their services were expendable. That became my motivation for establishing 1st Place, and it’s still the driving force behind the company today. The IA PROJECT label was likewise based on this idea, created in order to serve artists who dream of becoming pros. Through the use of VOCALOID and IA as a creation tool, we wanted to see these creators break free from the shackles that kept them behind the scenes, and help them shine as the starring role on stage. VNN：Both 1st Place and Beijing Photek follow the PGC (Professionally-Generated Content) model of business. What do you think about the relationship between the UGC (User-Generated Content) and PGC models? Going forward, which do you think you will be following? Murayama: Actually, I have never heard the term PGC until today. At first, I didn’t know much about VOCALOID culture, where the UGC model is the mainstream. We thus tried to promote IA using my own ideas, and unwittingly ended up violating a lot of the implicit rules in the community, which we received a lot of criticism for. But since then, we’ve come to learn how to respect VOCALOID culture, and even how to help facilitate it. Thanks to that, we’ve been able to continue the IA PROJECT without any more doubts. Sorry if this is a bit off-topic, but we first started the IA PROJECT as a way to lend support and strength VOCALOID creators who seriously wish to become professional musicians. While the VOCALOID community is no doubt a wonderful platform for creators to present their works, the culture at the time had its own peculiar set of rules and customs that I felt actually hindered people who aspired to become professionals. I believe that the amazing creativity born out of the community should not be contained to just the VOCALOID world, but shared with a more general audience. The UGC model has brought with it a wonderful creative culture, but if it is contained to its own narrow confines, then it can never grow as a culture. For the sake of long-term development, we should be looking towards opening up to the general, mainstream market, rather than keeping it as merely a subculture. By that same token, while it’s wonderful how artists can now self-produce their own hit songs, I believe it inevitable that VOCALOID culture will eventually grow in a way that will help managers get in touch with musicians in all sorts of fields more easily under the VOCALOID brand. We were often criticized for trying to follow this pattern in the past, but the fact that there is now the term “PGC” to describe this pattern means that it’s gaining acceptance, which makes me glad to see. Ddickky: Our business progression was actually the reverse of 1st Place’s, starting from UGC, then switching gears to PGC. We started off as a dojin circle with many highly skilled creators, each with their own share of fans. The advantage of this setup was that both fans of our members’ works, and fans of our brand name would all become Stardust fans, which is why she was able to have such a large following right from the outset. Then, after we switched to the PGC model, our members were contracted to work full-time as part of a company. We were no longer just individual artists, but were now part of a collective group, which helped bring us all closer together, another great advantage to working as a company. However, there were voices of opposition raised by several fans who felt that we were ruining the spirit of the dojin environment by commercializing our works. But the fact of the matter is that the UGC environment is China lacks infrastructure, and has very few people actively creating in it. So on the one hand, we still operate in the UGC environment to the extent that we can introduce more people to VOCALOID. On the other hand, we also follow the PGC model to promote Stardust by giving her a character image, creating a narrative for her, writing songs for her, and more. Luckily, our core fans appreciate what we put out, and understand what we are trying to accomplish. That all reassures me that our current thought process is the correct one to follow. As for our future plans, since we are still a group of creators at heart, our greatest desire is to serve fellow creators – as opposed to serving virtual idols – by putting out original albums featuring human utaite singers. Not only will this better serve talented song writers who wish to write more than just VOCALOID music, but it will also give talented utaite the chance to sing some original songs. VNN: So after a creator enters the company, they would gradually turn from VOCALOID song-writing to a wider field of music? Ddickky: That’s up to them. 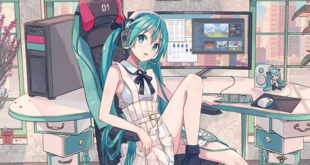 Whether the creator wants to always work on VOCALOID music, or wish to expand into other fields of music, we are glad to help them accomplish their goals. 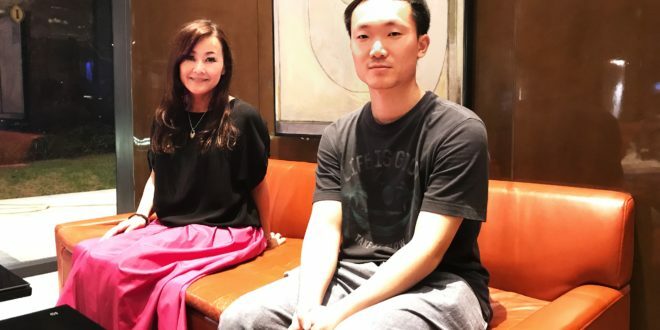 In fact, if any member wishes to look elsewhere to try their hand at something that they themselves aspire to create – such as anime and video game music, or the theme song for a drama series – we would be happy to support them on the economic front so that they can create to their heart’s desire. It is my dream for us as a company to create a platform on which we can help realize every creator’s vision. VNN: So then, is the IA PROJECT also a label that is squarely focused on IA? Murayama: No, the IA PROJECT is totally separate from IA herself. It seems that fans have quite a few misconceptions about the IA PROJECT. I would like to take this opportunity to explain. The IA PROJECT was not founded on the premise of simply promoting IA, but rather to support all VOCALOID song creators who want to become professional musicians in the future. However, at the time of the project’s creation, IA was the only available software from 1st Place, so we naturally named it the IA PROJECT, and focused mainly on supporting activities that use IA’s software. For example, some VOCALOID producers like Jin and Ishifuro got their start from the IA PROJECT. Although I originally met them by requesting their help in testing IA’s beta version, we never asked them to use only IA. When I listened to their music, I could tell that they were brimming with raw talent, and learned that they aspire to become professional musicians. Naturally, I wanted to support them in pursuit of their dreams, and in doing so, the means of support that we could provide started to take form, realizing that IA as a creation tool would be perfect for such a purpose. That was when the IA PROJECT really took off and became what it is today. By meeting through IA, and by using IA’s software as a creative tool, Jin and Ishifuro were able to write some incredibly high-quality songs that became trademark works for both IA, and for themselves. This was a natural course of action, made possible because the artists were able decide for themselves how they wanted their songs to be. I would never dream of interfering with or limiting their work by asking them to use only IA for all of their creations. That would do no one any good. But I’m also IA’s official producer, so from that standpoint, I would indeed ask them to write and provide songs for IA to sing. The IA songs that we ask them to write are completely separate and unrelated to their own works, so one can almost say that we’re merely “ordering” songs from them in order to build on IA’s profile and brand name. 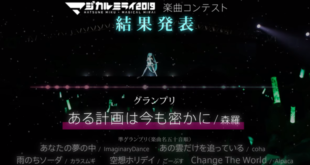 A lot of people probably think that we instruct these creators to write songs using only IA, but in reality, the IA songs that we commission from them have nothing to do with the works that they create on their own volition. There are these and probably other misunderstandings that the name “IA PROJECT” carries with it. Ddickky: I think that we are exactly alike in that regard. While we are always supporting our members in whatever project they wish to undertake, we also often commission them to write official songs for Stardust. I believe that this is the case for all VOCALOIDs, with individual creators using them for their own works, and sometimes being commissioned to use them in official songs for album releases. VNN: During the interview between IA and Stardust, you mentioned the potential for collaboration between many various artists and creators. So is there any possibility that your two companies would collaborate on something in the future? Murayama: When we were talking earlier about the concept and idea behind Stardust’s birth, I found it quite fascinating. Although we definitely share a lot of the same objectives, I think our approach towards realizing those objectives differ. For example, whenever I need a song for IA, I would have a general overview of what the song needs to be like, and commission the artists to create a song that would fit that concept. But in Stardust’s case, it’s more like a singular team effort between commissioners and creators to write a song based on the desired concept. I find that to be rather avant-garde and creative of them. I’d like to first learn a little more about the process, but if we were to collaborate with Stardust, would it have to be completed as a team? Ddickky: Not necessarily. We really don’t have such a restriction. There’s no one set image for Stardust that is agreed upon by all members of Quadimension, and anyone can work independently from the rest. Even if our present policy dictates that we must select a song from our pool of works that fits Stardust’s repertoire, as long as the final product is something that would satisfy the fans, we would welcome it. Actually, we have realized a problem with this “laissez-faire” approach: it often results in inefficiency, and in songs that aren’t as high-quality as we had hoped for. It guess it would be better to first get everyone to decide and agree on at least part of the general objective before starting work on it. For example, for the Stardust concert, we drew from the pool of songs that our company members have made for Stardust to perform, thinking that we would have an abundance of appropriate songs. But in the end, we discovered that we actually have very few genuinely usable songs. When creating songs, what we as a company need now is something more like IA’s song creation process: a core policy by which we can direct the creator(s). Today, I brought along one of these creators (referring to EDR) to come watch the concert. We would both watch and talk about what type of song would be suitable for a concert, and whether or not we can create such a song. Murayama: I see. Sorry again if this is a bit unrelated, but in Japan, the mass market is pretty familiar with the word VOCALOID, but not “virtual idol,” for it’s a new concept. Some people just think that they are the same as anime characters, which often causes some setbacks for our project. So I’d like to know what the “virtual idol” market is like in China. Ddickky: ACG culture is in a period of the rapid development in China. For example, even though Bilibili was created after and as an imitation of Niconico, it’s actually growing faster than Niconico now. When it comes to level of mass market penetration, however, ACG culture is still not as popular in the Chinese market as it is in Japan. Even though China is quickly taking to the concept of virtual idols, the concept has not yet spread to as much of the Chinese population as it has to the Japanese population. Then again, because China’s population is so large, when counting the shear number of virtual idol fans in China, you’ll see that its rising at an almost frightful rate! I believe that this is one of the advantages to marketing virtual idols in China. Murayama: I see! Going back to the talk about collaborations, I’d like to mention that it’s in my character to always try new things and challenge traditional frameworks. With this in mind, while collabs between Chinese and Japanese artists are certainly nothing rare, what is rare is seeing them between virtual idols from two different countries. Furthermore, if we can really go through with this collab, then I’d like for the results to not just be limited to fans of the ACG subculture, but also get exposed to the general masses, who will likely be amazed by what they see. Wouldn’t it be wonderful if we could pull that off! Ddickky: We are absolutely open to that idea! My main desire from a collab with IA would be to make something that simultaneously astonishes and pleases all who see it, fans and non-fans alike. I’ve noticed that our “IA x Stardust” talks have drawn a lot of attention from fans on Weibo, who have even submitted some fan art of the two. I think a lot of fans would love to see an IA and Stardust collab someday! VNN: We would love to see that, too! We hope to hear more about a IA x Stardust collab someday soon! Thank you both very, very much for your precious time! Previous New Stardust Figure Revealed!